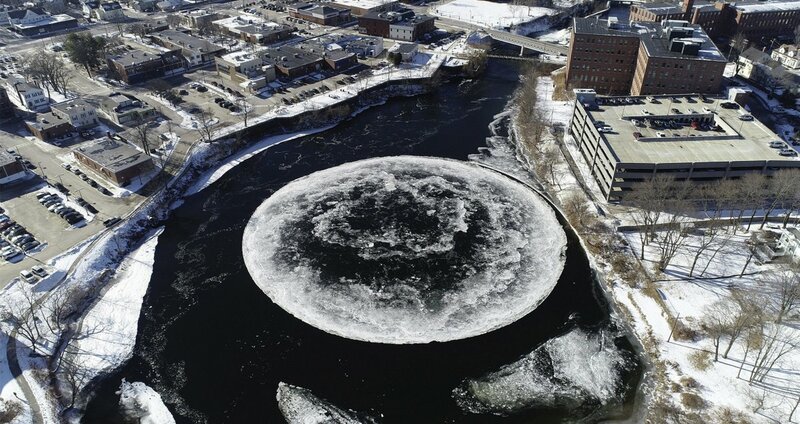 This 30-second exposure shows the circular ice floe spinning counter-clockwise Monday in the Presumpscot River below Bridge Street. 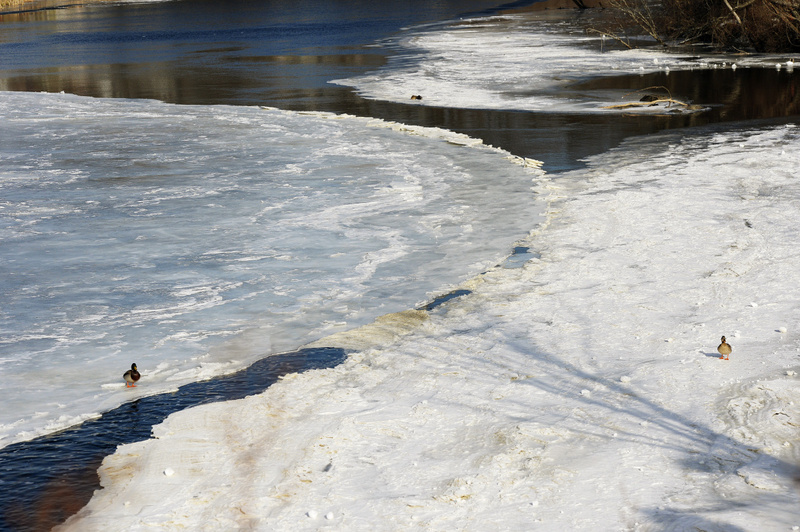 In a photo taken by a drone, a disk of ice spins in the Presumpscot River in Westbrook on Monday. 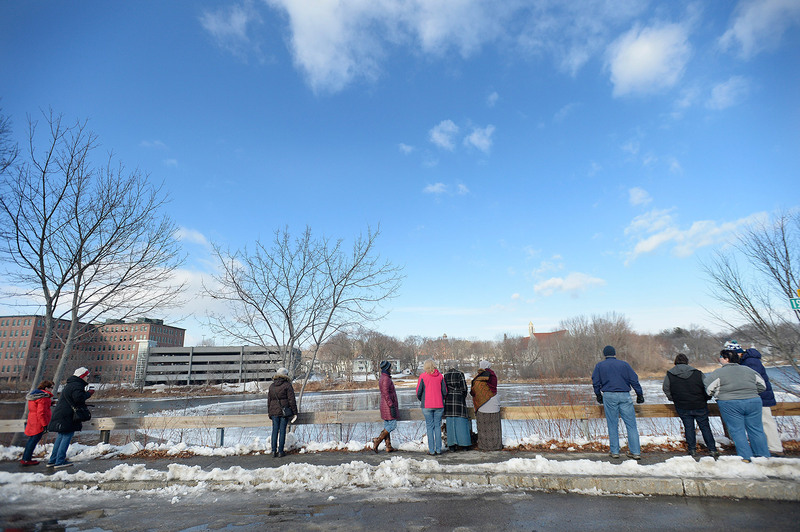 The circular sheet of ice drew comparisons to a crop circle and a Lazy Susan. 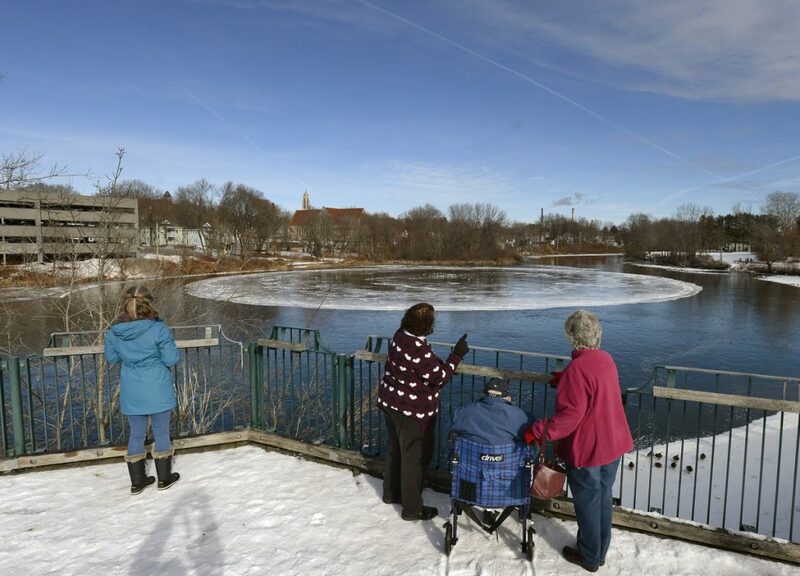 Curious observers watch the rotating disk of ice Tuesday on the Presumpscot River in Westbrook. One theory of how it formed: The flow of the river is pushing the ice disk along like a paddle wheel as ice builds up on the edges. 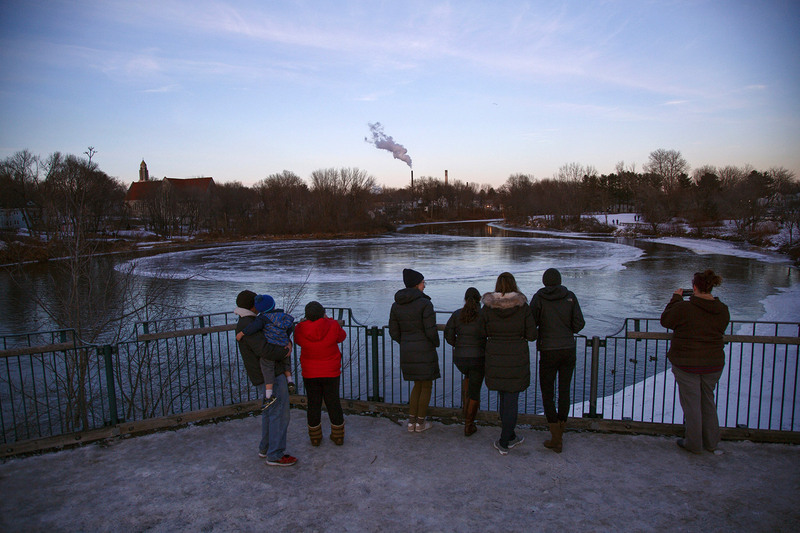 A crowd gathers at the now motionless disk of ice on the Presumpscot River in Westbrook on Wednesday. 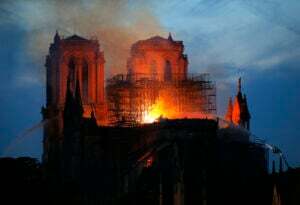 Police stopped a man who attempted to walk out onto it. 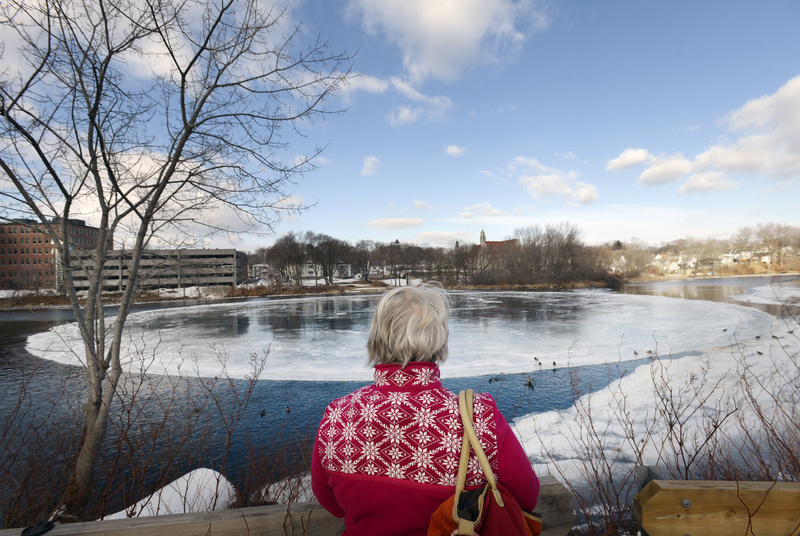 Pat Mahoney of Gorham watches the now-motionless disk of ice on the Presumpscot River in Westbrook. 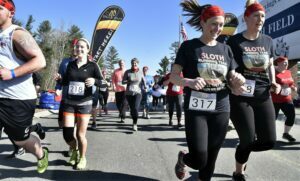 The phenomenon was still drawing crowds Wednesday. 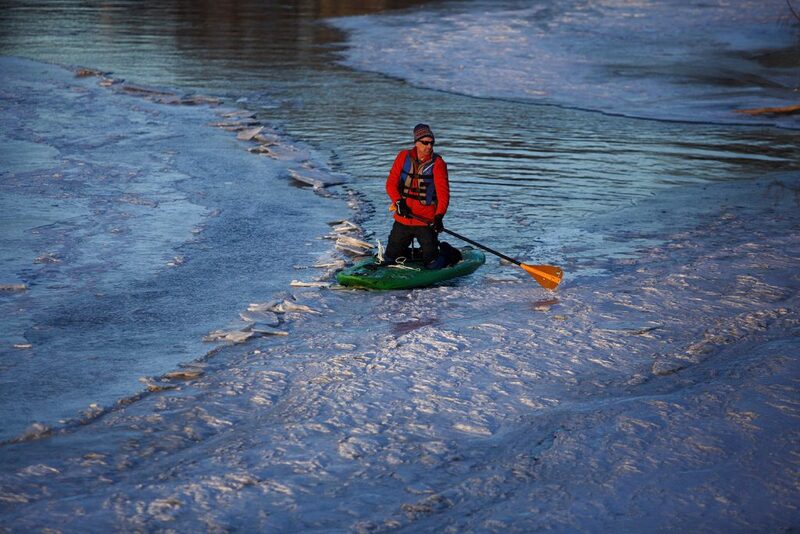 Andrew Sims, a photographer from Freeport, ventures out in the Presumpscot River in Westbrook to free the ice disk so he can record a “nice time-lapse” of it in motion Thursday. 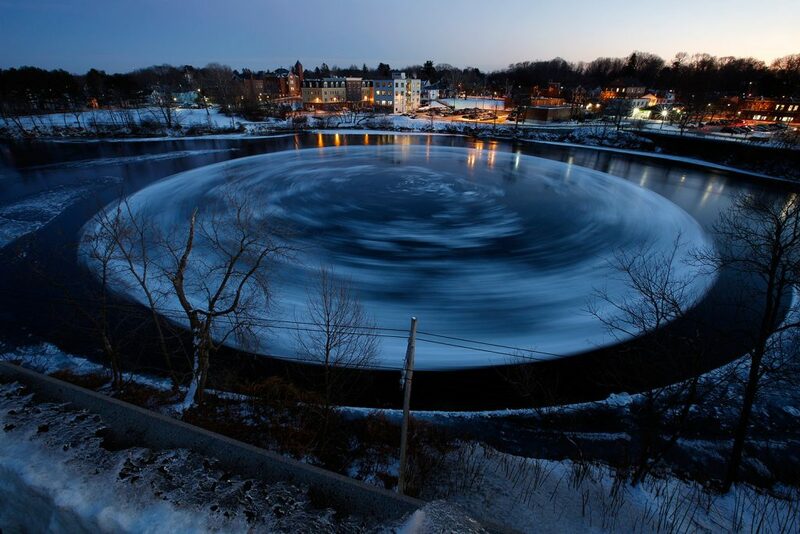 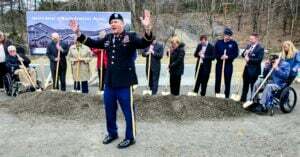 Andrew Sims, a Freeport photographer, freed the Westbrook ice disk. 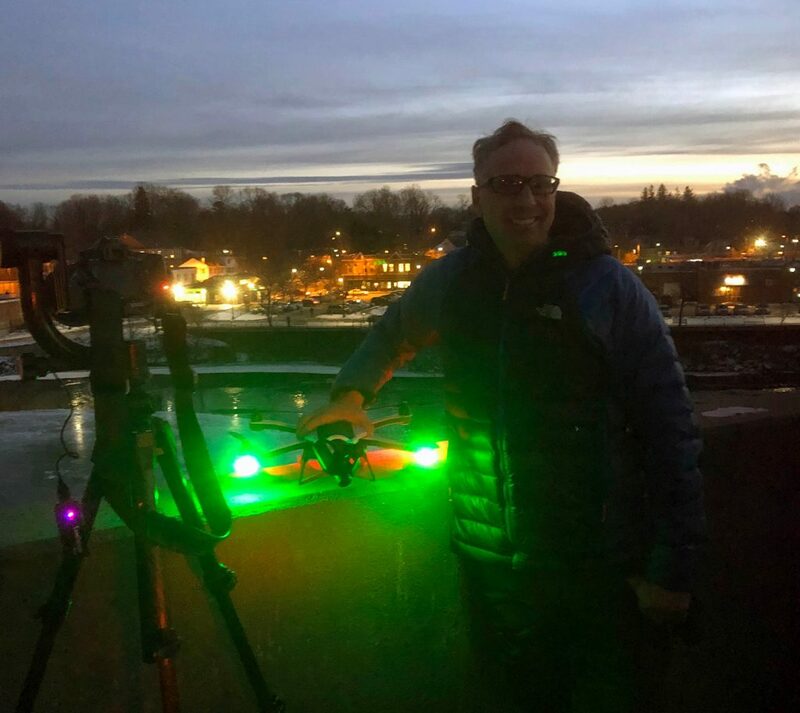 He is holding a drone. People gather to watch the ice disk spin after Andrew Sims, a photographer from Freeport, ventured out in the Presumpscot River in Westbrook on Thursday to free the ice, which had become stuck against the riverbank.